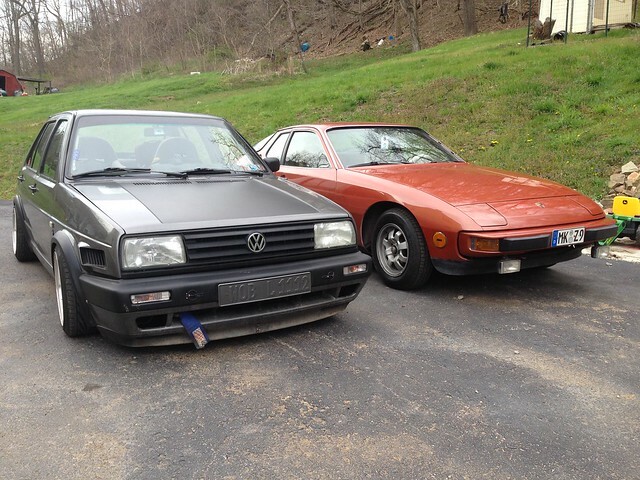 924Board.org :: View topic - At crossroads with my 924; swap / rebuild? At crossroads with my 924; swap / rebuild? 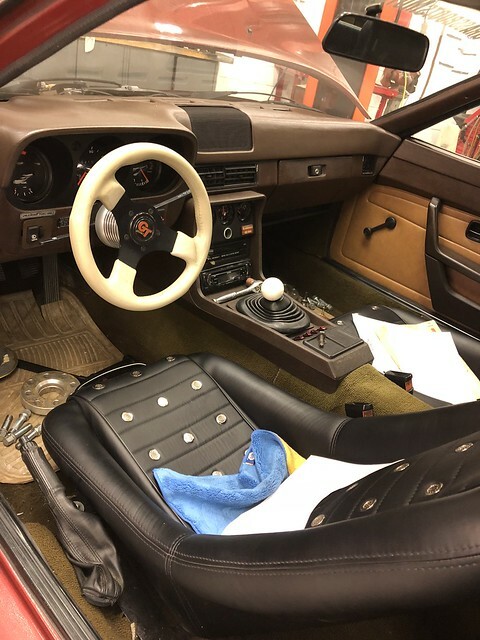 Posted: Wed Oct 17, 2018 9:46 am Post subject: At crossroads with my 924; swap / rebuild? This board has been invaluable during my last 4 years of 924 ownership. I may not be overly active, and that’s because 90% of my questions are answered quite well by exercising the search function. 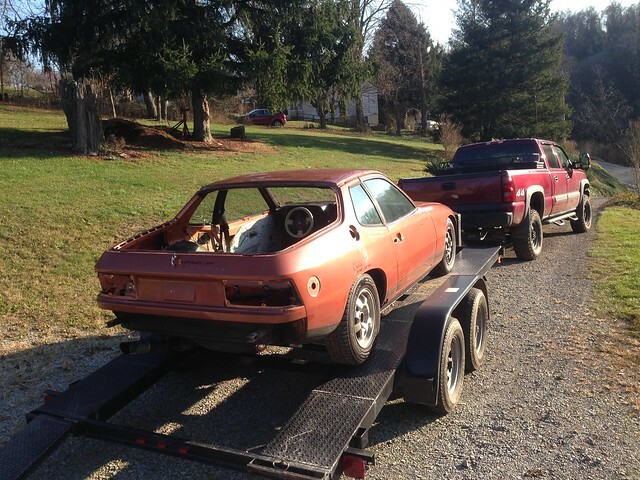 I know many have been in my situation and or have first hand experiences building a 924 from the ground up. I figured I would bounce my situation off the board and see what your thought are. I am going to try and keep this novel as short as possible. 1977 1/2 us model. Bad paint, and interior no rust. Vehicle sat for roughly 20 years. After purchase, pre oiling of engine, and evidence that it ran, I spent some time with the engine mechanicals: going through the fuel system, replacing the cam oiler elbow,ignition tuned up, belts, hoses etc. At this point the vehicle ran reasonably well, however with a light puff of smoke at cold start (was assuming valve stem seals ). At this point I felt confident enough to get the car road worthy and safe, and in the process went a little over board with “while I’m in there I may as well (insert $$ here) and ended up with a full interior and exterior cosmetic restoration, All brakes,suspension and driveline have been addressed; items including torque tube bearings, clutch, wheels bearings, wheel cylinders, shocks and struts, etc. This process took a little over a year and resulted in a very tight fantastic looking and driving car. I have now owned the vehicle 4 years, and have driven it roughly 5k miles. It’s been a fantastic car and one to check off my childhood list! Oil consumption has increased steadily throughout ownership; I am currently at 3/4 qt per tank of fuel; the writing was on the wall, I knew it was time to freshen up the engine. # 4 cylinder has some serious damage: with the piston at BDC, there is a 30mm tall swath of destroyed cylinder wall on the exhaust side. 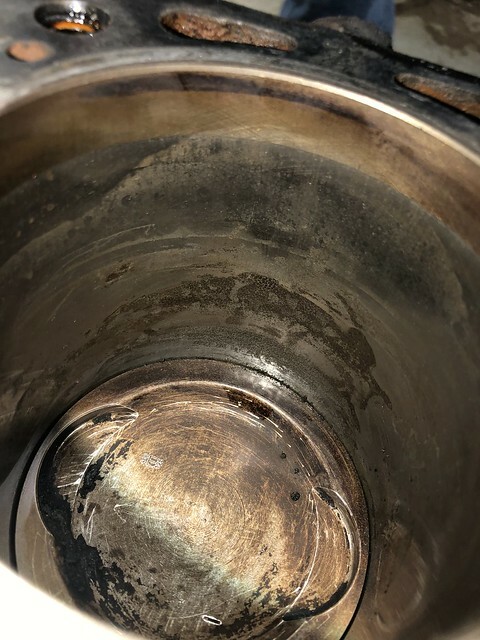 Evidently this vehicle suffered a failed head gasket at some point and coolant was sitting in this cylinder for a very very long time and it eroded away the cylinder wall. This damage appears to be roughly .020in deep into the cyl; there’s your oil consumption issue. The remaining cylinders have pristine factory crosshatching present, and a light carbon build up... perfectly fine from a visual standpoint. I can only assume the vehicle was originally parked due to this issue and 20 years worth of corrosion sealed it up well enough, or the seller attempted to resurrect the car some years ago, found the damage and put the head back on. Gasket did not appear to be recently replaced however.its amazing the vehicle ran as well as it did; on a few 300 mile long road trips to boot! Referencing the Haynes manual specifications, valve play within the guides is below the wear limit, and head and block variation are within specification. Tappets are not excessively warn, nor are the cam lobes; looks consistent with the 68k odo reading. Do I rebuild this current engine? It may make sense to replace with a used short block, if I can find one in usable condition within a few hrs of PA I would be quite interested! I have yet to find anything but a $1,500 2.0 head on eBay. I love the car for the qualities that it possesses, however a bump in power would not be objected. I am not overly concerned about resell value nor originality to the chassis (interior and paint are no longer as delivered) my main intent is to drive and enjoy the vehicle for as long as possible , having a powerplant that is readily available (along with its parts) would have its perks as well. I notice most of the swap candidates are not early cars presumably because they have the smaller diameter drive shaft in the torque tube along with the Audi 4 speed, drum brakes in the rear etc. the last thing I want to do is go through the efforts of an engine swap to come to the reality that the transmission can’t handle it and be back again with a non running car with a blown, difficult to track down transmission. What can a 4 speed handle on a daily basis? It was not designed to take much more than it’s currently offered. Any experience here? 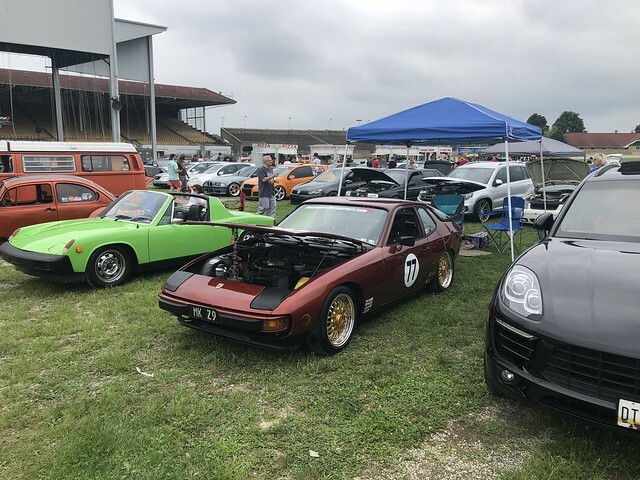 I have checked in on quite a few 924 swaps on this board as well as with others and it’s been quite an inspiration as well as a warning of things to come. I am a fan of only making the modifications forward of the torque tube. The investment has been made in bearings, and the trans is sound. I can’t tell you how many “hey man can i swap x engine into y car how hard would it be?” This is not that post. Having performed several swaps in the past (in other European chassis) I have a good idea of what’s involved in such an endeavor, I just need to rationalize if it’s worth it. My first choice of retrofit would be the vw / Audi EA827 family. A bellhousing adapted to this pattern would open up literally 40+ years worth of gas and Diesel engines as a possibility. 1.8v 1.6 diesel, 1.8t, 2.0aba, 1.9 tdi are especially plentiful and cheap in my area, not to mention all of the other 8v and 16v engines available for well under $200 for a good running example. Earlier versions could even utilize the complete cis fuel and ignition system that is currently in the 924 to further simplify matters. Rebuild parts are plentiful and cheep as well. It also stays with the lineage of the vehicle, it should have been a scirocco after all! If I go down this path, how would you go about making the adaptation? Would you machine a spacer of say 1/2 aluminum to adapt the current bell housing to the new pattern, then machine a crank spacer to push the flywheel out the difference so the splines mesh correctly with the clutch disk, retaining the factory clutch system? (924 clutch disk will fit in an 8v vw pressureplate/ flywheel combination) Would have to check on pilot bearing though and Starter engagement would also be an unknown at this point. Any thing I’m not thinking about with this regard? 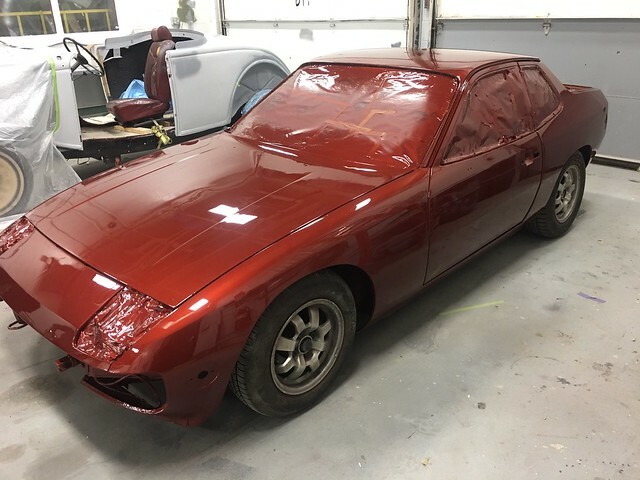 How are the commercial companies doing the 944 conversions? Any experience in this area would be greatly appreciated. I would love to hear from those how have been down this road or have good sources of information. Oil pan / pick up tube, exhaust, cooling system, engine mount modification are all somewhat straight forward from a fabrication stand point, my main hitch is the adaptation of the bolt pattern and if the Audi transaxle can support any added power? And of course is it worth the trouble in your opinion? To note, I possess most of the skills/resources/ machinery to complete this task... very little would need to be subbed out. Dilemma.... like most of us, I don’t have an unlimited budget for this spare pleasure vehicle, family takes president, this goes for time as well. So this decision is also going to take into account the upfront cost as well as cost of future ownership. What would you do? Comments? Suggestions? Parts offers? Etc. If you decide rebuild. I watched ebay for a year and finally found a set of .020 oversize 8.5CR pistons for a reasonable price. Best bet is to call Troy at EBS racing and he can get JE pistons of any size and any CR with rings and pins for about $700. Be sure to get the pin bushings also as I believe they are smaller. The motor will have to be rebalanced(about $150-$200 around here) as the pistons are much lighter. If it was me, for minimal cost...sleeve the bore. (BTW I have had this done on a turbo with no after effects). If you really want to go bigger and/or different motor, then gradually creep up on it while you still enjoy this one. value will eventually rise and at that point you will feel bad your destroyed a good example for adding just a few extra ponies. I went true the same situation and decided to rebuild. 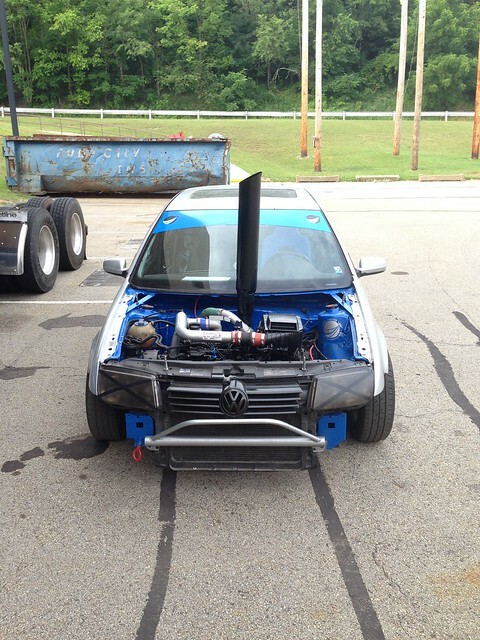 I don't race so I don't need more power and believe in respecting what the car is and keeping it balanced. If the car doesn't satisfy me anymore because power is too low, I will sell it to someone who will appreciate it as is and I will get something else. So far however, doing a rebuild "on the cheap" is not as cheap as I was expecting. Sell it and buy a 931...fixes everything. I am in the same situation. I have rebuilt an engine with NOS euro pistons (9.3:1), bearings from Ideola, everything balanced and a refreshed head. The extra power was barely noticeable. I also spent a lot on that rebuild once you add up parts and machining. It ran nice until I spun a con rod bearing, but thats a whole different story. The biggest issue I have is that there are several NLA parts that have to be custom made. That will make it hard to rebuild in the future if anything happens and group buy supplies run out or the new company making the special part decides to stop production. I have started collecting 1.8t parts for a swap since the parts are readily available and at a decent price. The bump in power should be nice and my brakes/suspension are already sorted out. 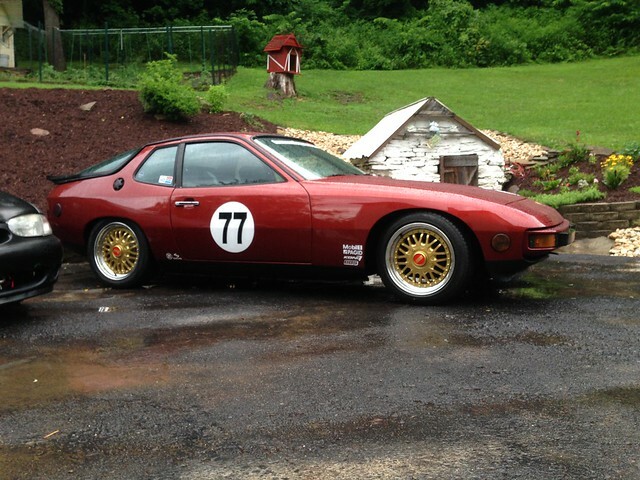 I like the idea of a classic 924 look with a newer engine that makes more power. Thanks for the information. 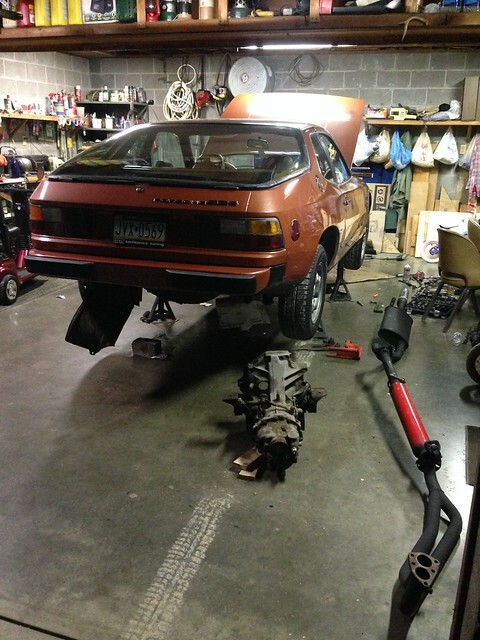 I anticipate having the bottom end out of the 924 by the end of next week. This will allow me to further inspect the condition of the remaining components, and help more with this decision. Unfortunately I think the damage to #4 will require at least a .030 overbore to correct, so unfortunately this would rule out the stock or euro pistons, and result in the purchase of oversized pistons and all the trimmings ($$) and if I am going to make the commitment to go this far, the rebuild will be complete resulting in a hefty price tag. The sleeve idea is tempting, Providing the bearings check out, I could be set with just a sleeve, rings, and a re seal. But I can’t help to feel as though this is just a band aid, and it’s still going to be a small investment in parts and machine work. I have built junkyard 350 blocks to over 350hp for around $500 total. 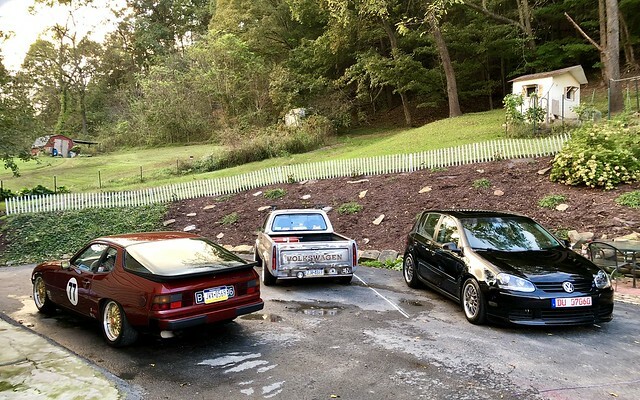 Apples and oranges I understand, but the investment I am facing for less than a 120hp return goes against my nature I suppose, but I still have that struggle with potentially destroying the cars value and creating something that takes away from what I love so much about the car. Selling the car is a foolish option. 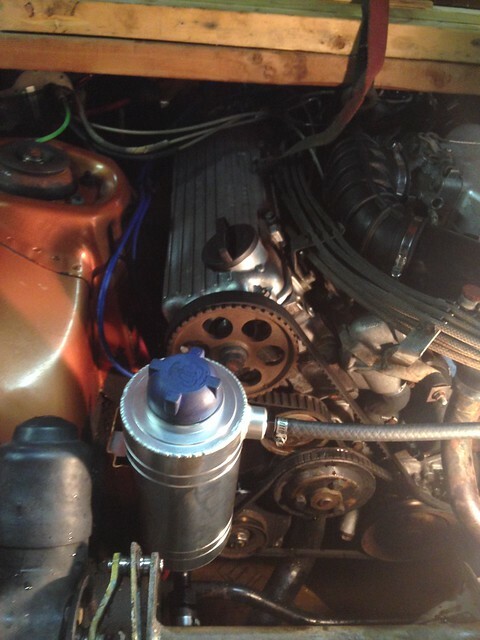 Many many hours have been invested, al all systems aside from the engine have been addressed to like new condition. The value the car possesses in its current state would be minimal... to sell would be financial suicide so to speak. Then to take that loss and purchase another vehicle to yet go down this road into the unknown again makes very little sense. Don’t get me wrong, a 931 would put a smile on my face, but at the point I am at , it does not make sense. 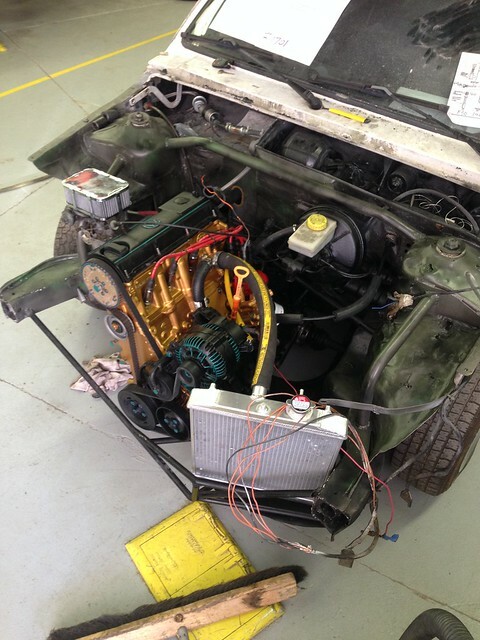 Several years back I owned an Awm 1.8t with a f23 frankenturbo (modest upgrade, stock frame turbo) tune, intake, exhaust and dynoed right around 320hp /320ftlb drove the vehicle over 30k trouble free before moving on to another project. 1.8t is a fantastic engine, and shares that ea827 pattern. I just don’t know if the 4 speed will put up with the abuse that engine and an aggressive driver can produce. I am looking for some level of longevity with this build as well, there are far more suitable platforms for other avenues. I think if I do decide on a swap, I want to design it in such a way that no holes are drilled, no welds are made, no irreversible modifications are made in the event I want to revert back. I think I may pull the transmission from my fox here soon just to get a better idea of how feasible this actually could be. I also have a few eaI827 blocks around as well. If I proceed with this, I will start a thread in the engine swap section and document. Thanks again for the comments... it’s been a journey so far with this car, certainly not throwing in the towel yet, but I have to do what makes the most sense with my goals and budget. i think the sleveing alone should be a very straight forward and cheap job, more like 150-200 dollars. Rings and reseal/honing should be another 100-150 i guess. These are high end prices that i would get around here so yours may be totally different. 50 for a gasket set...i guess it could be under 500 for the sleve option. These are very simple and cheap to keep cars, i just did a timing kit, waterpump, coolant, oil and filters for 150 dollars on my 924 with highest quality parts...thats ridiculously cheap compared to..well any car with a hint of sporty behaviour or good looks. Holy sh!t you made that 924 beautiful. Pardon the de-rail, but where can I see the interior? Morghen, making calls this week to get a concrete quote with regards to the sleeve, i do think this is worth looking into. Noahs944, thanks for the kind words! Sure i wont turn down a picture request unfortunately, while digging through my pictures, i could not find any great interior shots.. ill snag a couple when i get back to the car. 2.0 aba bottom end forged crank, (from a 94 jetta) with a jh solid lifter head from an 83 Rabbit bolted on. 276 cam, p&P webber carb, msd... budget build for my fox winter car. ill snap some interior pics! Well after mulling over the pros and cons, I am going the swap route. It does not require no longer available parts i will likely not find, it will be sustainable for future service, it will be less than 1/4 of the cost, base line power will be greater, the platform responds better to modification, the engine weights are roughly the same keeping the balance of the car... other than the originality factor (resale), I couldn't come up with a reason strong enough to want to keep the 2.0. 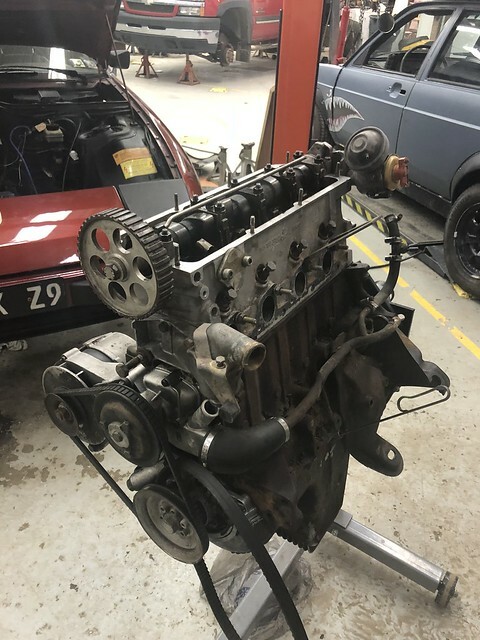 I will start a thread in the swap forum to document the progress, and i have decided since I am not going to be rebuilding this engine I will be making a post in the classifieds as well to hopefully help other 924 owners. Complete engine, all accessories, ignition system, etc will be going. What engine will you be installing? You should keep well the original engine, just in case. I am undecided yet on the exact engine. 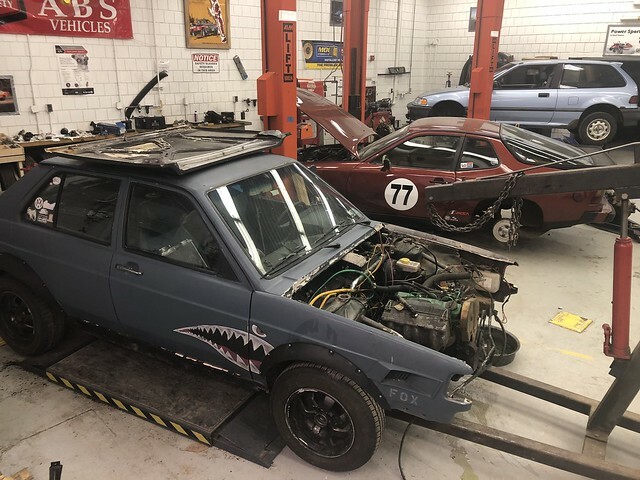 I am currently leaning to a 1.8l 8v JH out of the original rabbit GTI (golf GTI ) or a OBDI 2.0 ABA from the MKIII platform cars. Both produce the same amount of power as the stock 924 engine, yet wake right up to about 200hp with a modest 8psi of forced induction. I also have first hand experience with FI on both of these engines. They are also easier to take care off than lets say a 1.8t.